Until recently, there were only two main ways you could get cash from your home: sell it or borrow against it and make monthly loan repayments. Reverse mortgages offer a third way of getting money from your home. If you are a homeowner, age 62 and older, you are eligible to apply for a reverse mortgage loan that converts your home equity into tax-free income. This guide explains everything you need to know about reverse mortgages and how to use them to your advantage. 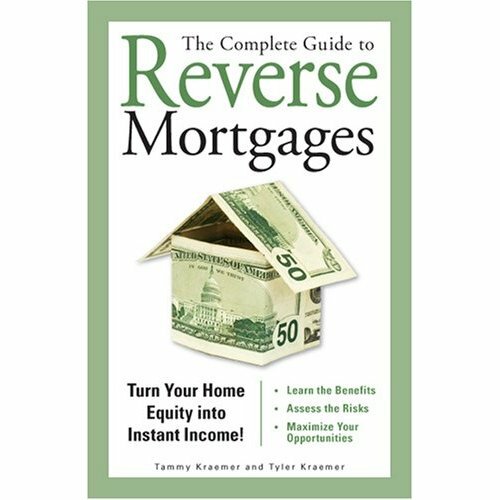 Practicing attorneys Tyler Kraemer and Tammy Kraemer lay out a step-by-step process to getting a reverse mortgage. Tammy Kraemer has been an attorney practicing business, real estate, and intellectual property law for almost ten years. She is currently in private practice. She worked in general counsel for a mid-size software company with worldwide offices. She also worked at a large regional law firm in their corporate law and securities department. She has written and edited numerous articles for newsletters and law journals. Tyler Kraemer has been an attorney in private practice focusing on estate planning, real estate, finance, and business law for almost ten years. His clients include lenders, borrowers, mortgage brokers, real estate brokers, real estate buyers and sellers, and business owners. Tyler has been a part of outside general counsel for the REALTOR® trade association and the for-profit multiple listing service, which included giving daily advice on homeowner issues. He has participated in National Association of REALTOR conferences and workshops dealing with all facets of homeowner issues.